FurTernity Leave and PawTernity Leave for pet rescuers is a “thing”. We give it two Paws-Up! A lot of corporations, companies and offices are beginning to understand that a happy workplace is a productive workplace. On the wall in the break room, you might see a poster for the Human Resources division that aids it’s employees with something they call Work/Life Balance. Work and life aren’t always easy to balance, are they? Illness, Bereavement, Babies and Divorces are the expected sources of a possible leave of absence from your job, but there are a myriad of reasons why you might need a little bit of personal time off. How about when you rescue or adopt a new pet? Don’t scoff. It’s real. If you have ever brought a new fur baby into your home, you know that the transition can be really stressful. Potty training, crate training, preparing your home safety-wise and integrating them into your family of humans and other pets. Would your boss laugh you out of their office? Not so at one company in Minneapolis. Allison McMenimen, a vice president at the company, Nina Hale runs a digital marketing firm, and they are making news by offering Furturnity Leave. They are giving their employees the opportunity to work from home for a week, when adopting a new pet. They aren’t entirely alone. Another company in New York is offering “PawTernity Leave”: Two, whole weeks of paid time off for their employees who adopt a rescue dog. It truly is a sensible practice, if Work/Life Balance is your goal. Pets make us happy. Happy people enjoy their lives, and knowing that you have a happy animal to come home to after work is a great feeling. Beyond the benefits for us, let’s consider the benefits for all of the rescue animals across this country. 9 to 5 workers and other full-time employees often fear that they can’t possibly adopt or rescue animal because they are gone for so many hours a day, and they wonder how they can integrate a pet into their household in one weekend. 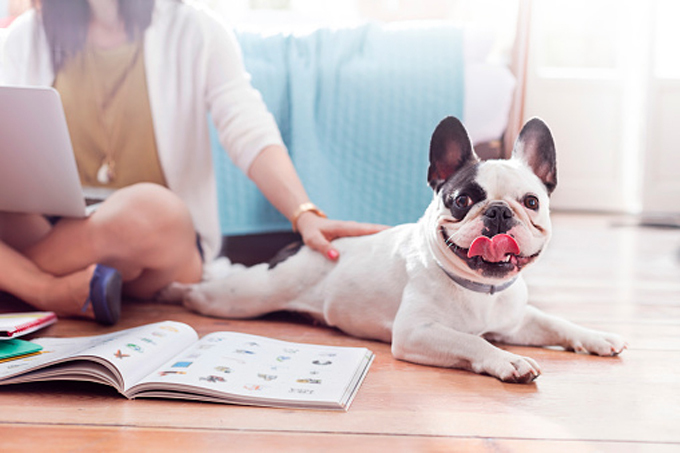 As pet owners, most of us know that our animal can easily spend those hours alone, but how to begin the process when you only have a couple of days to make it work? Furturnity Leave could make a big difference. If people knew that they had a week or more to find that rhythm with their animal, to understand what their needs were, to make changes that might be needed, they might be more likely to take the plunge! And that might result in fewer dogs and cats waiting for rescue. Nina Hale is a digital marketing firm, which is a perfect fit for a short “work at home” leave. So many jobs these days, are computer based, which gives them the opportunity to allow their employees to get their work done in their home environment. This is one of the benefits of the, mostly, computer-driven world in which we live. 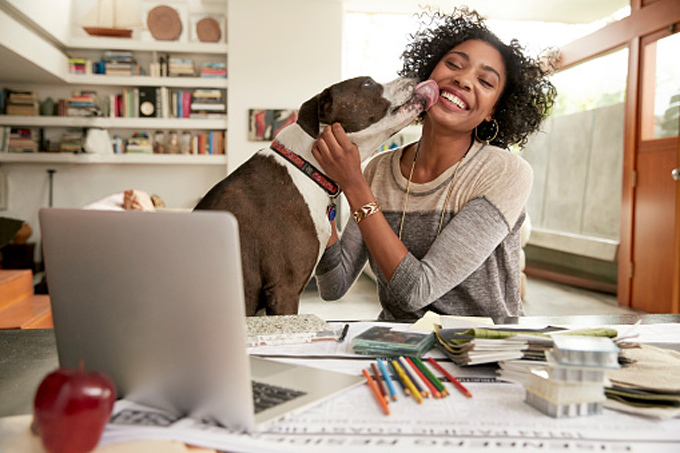 Studies have shown that pet owners are happier people, so maybe these companies are on the cutting edge of a societal revolution in the workplace. What do you think? Should companies allow for time off, paid time off or a leave of absence for new pet owners? Would you think harder about adopting another rescue if you knew you had the time to devote to integrating them into your home?